You make such a nice set of free characters and stuff. I went and grabbed all the other characters, too. I haven't thought about making a green guy to go along with Elphie. Maybe, I'll need to get on that one at some point. 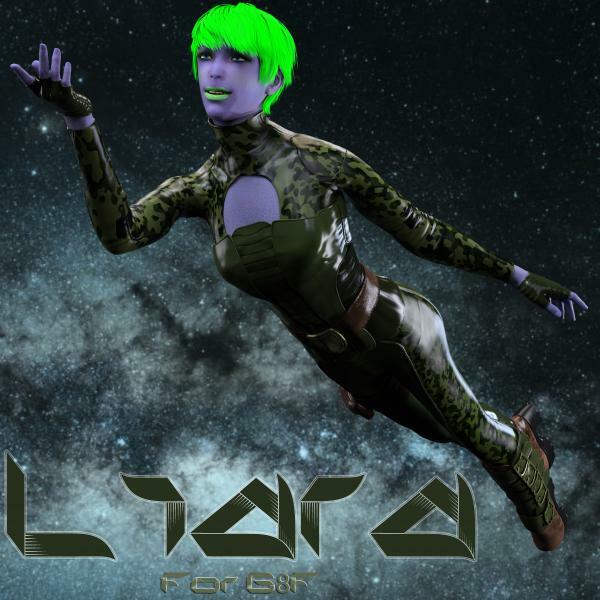 Liara is a textured Genesis 8 Female character who is out of this wolrd. 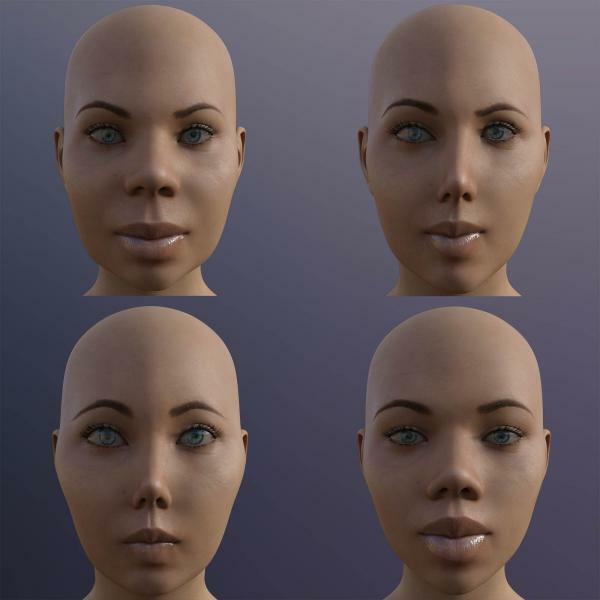 Her face and body were sculpted in Z-Brush to make her a unique edition to your growing Genesis 8 Family. She has 8 makeup options, 8 nail options, and 8 eye options. Happy Rendering! 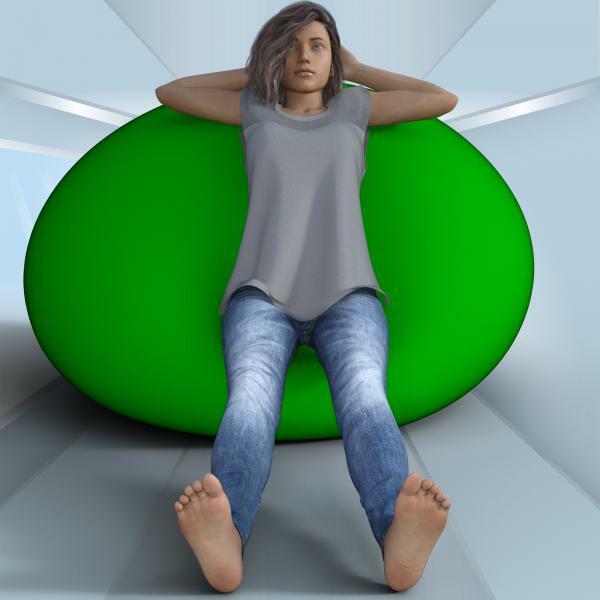 After a long day of being glamarous, sometimes G8F just needs to chill out in a nice bean bag. 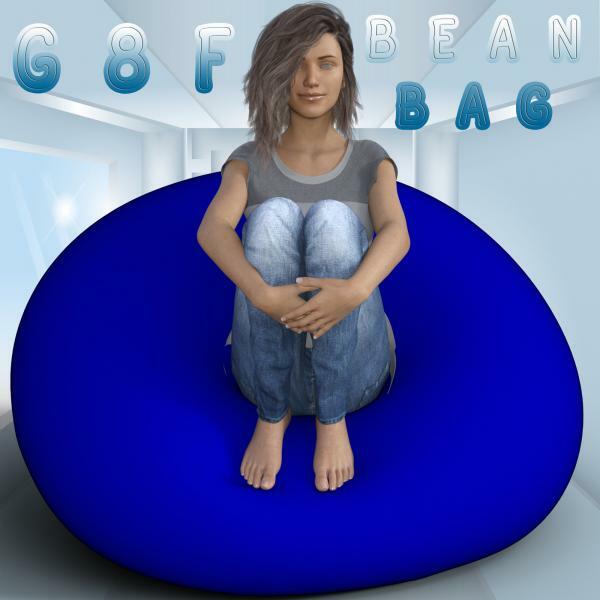 This set contains one bean bag, three G8F poses, and 3 bean bag morphs that compliment those poses. 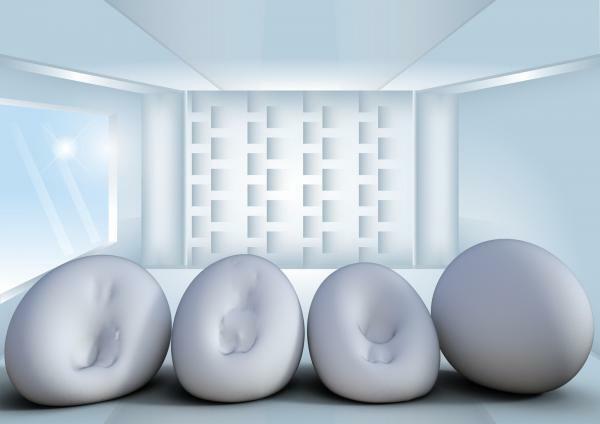 There are no textures with this set, so have fun using any of your iRay textures. 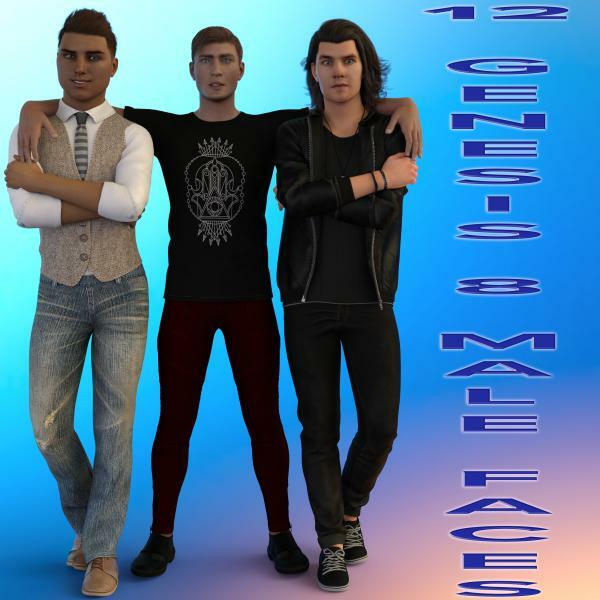 Happy Genesis 8 Male Release Day!!!! I don't know about you, but I was surprised to see this lovely August gift today. I just had to make him a quick outfit to get him dressed for his release. 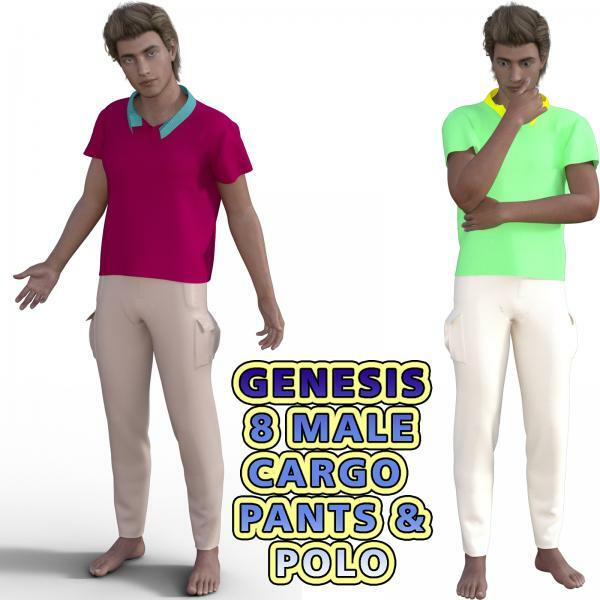 The set includes both a pair of cargo pants (with normal and 5 color options) and a polo shirt (2 normals with 5 color options each). Now, I did test it on Michael 8, but the transfer wasn't that great. I'm hoping they'll have another release and fix some of that. As always, Happy Rendering! Wow, that was fast! Very cool! Thank you for sharing your creation with us. So, here is my last freebie for a while. School is starting back on Monday, so I have to get back to my day job and start teaching, researching, and writing. To close out the summer, I created a new character for G8M named Mekhil (a unique spell of Michael I ran across). This package comes with a lot of things: 1) morph file for the character, new texture set, 10 tattoo options, and eight eye color choices. 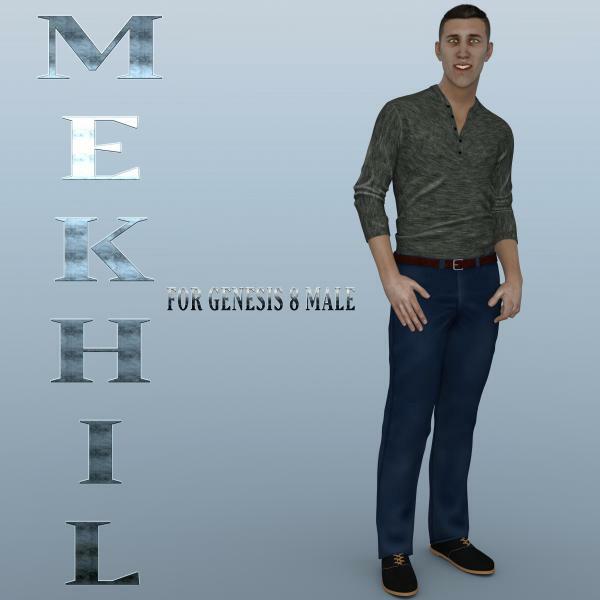 Whether you need a club kid or a guy in the military, Mekhil is definitely a great addition to your DAZ collection. More freebies to come, but I have two books I have to get edited first! :) Happy Rendering! 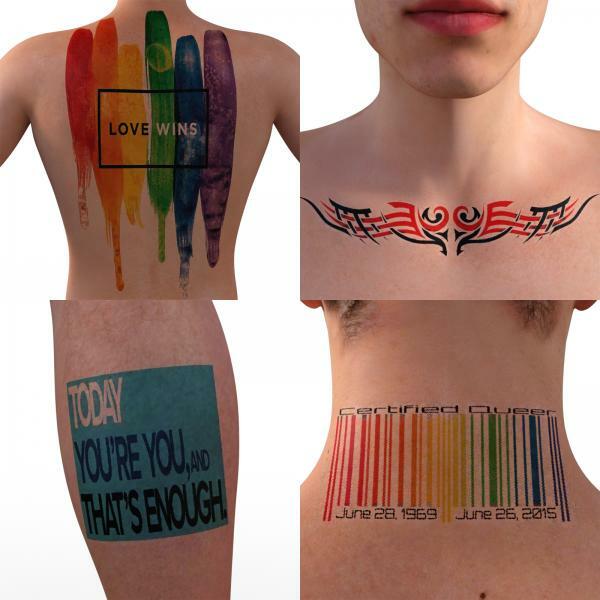 You can view all 10 of the tatoos on the Share CG site. You are very welcome. 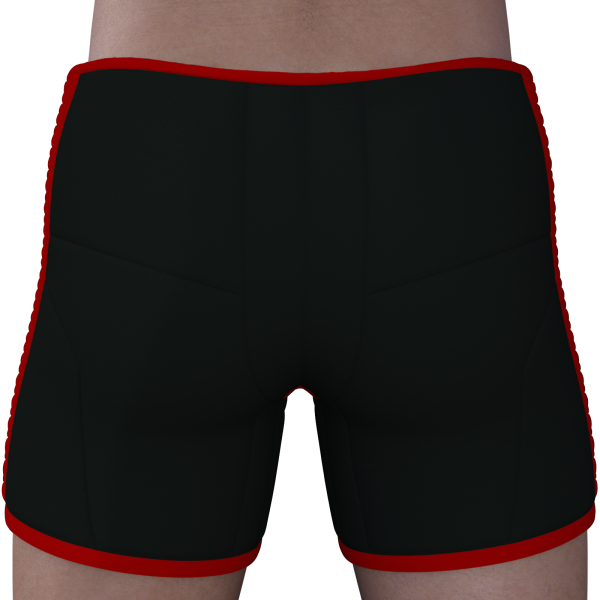 I was able to repurpose another mesh of mine, which saved time on the pants. The polo was pretty easy to create. I'm glad you enjoy! One of the things pointed out by some people on the DAZ message boards was that no non-white characters were released with G8M or Michael 8. So, I decided to go ahead and create a new character to fill this void. 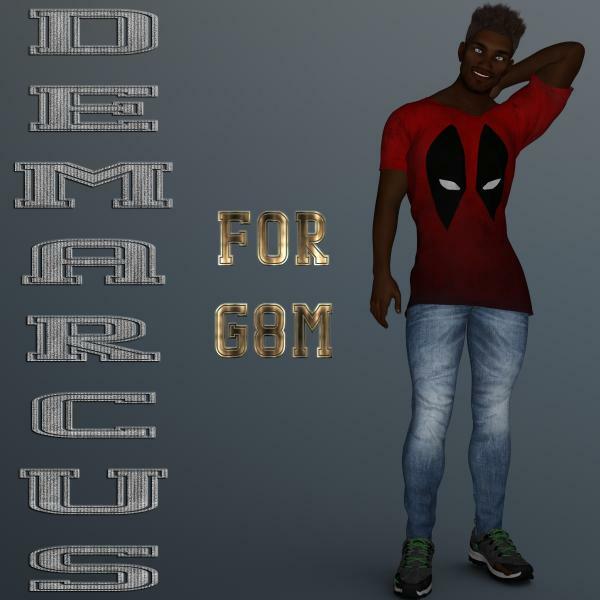 Demarcus for G8M is a new morph and texture. He comes with 6 different eye choices. As always, Happy Rendering! Thank you so much for sharing this great charactor with us! I will be back soon with a render of him real soon!! thanks for all the freebies. 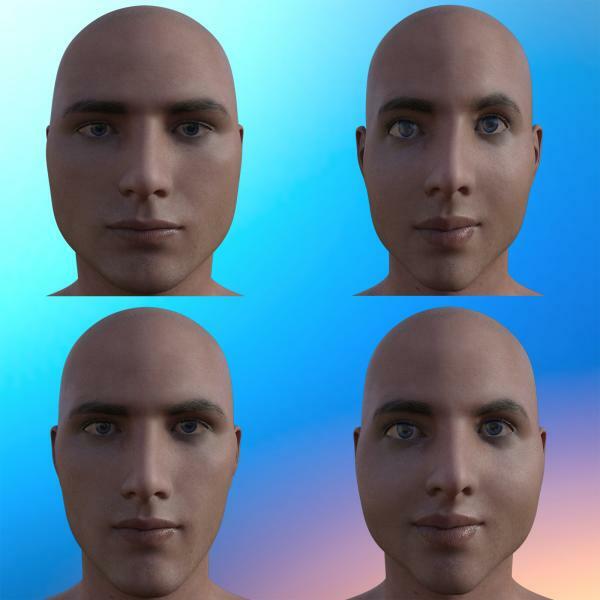 I load them into Public>Documents>MyDAZ3DLibrary. But then they are not loadable inside the DS content areas. Is there someplace specific I should extract the folders? Ultimately, this depends on where you keep information for DAZ located. Generally, that's where most people place DAZ content, but I know I have my content on a secondary hard drive, so that may not always align perfectly depending on the settigs you've used. 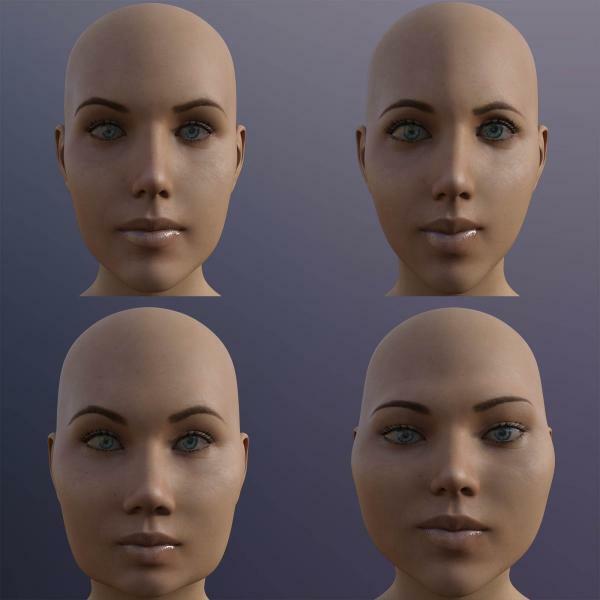 This PDF tutorial is a basic walk through of the major parameters and how they work in DAZ 3D. 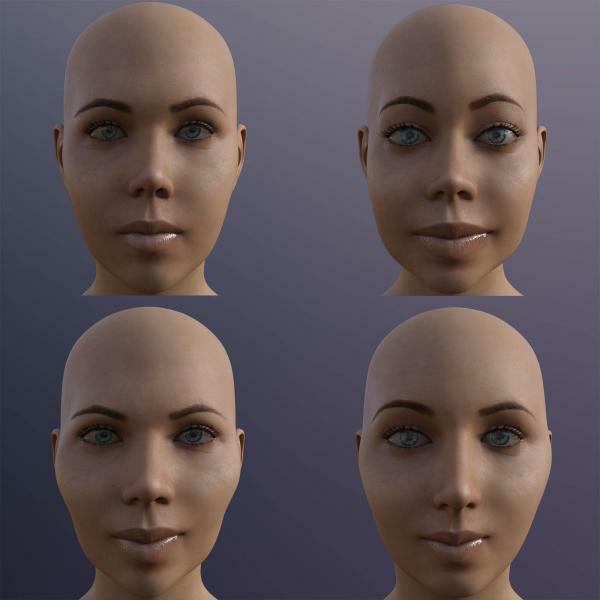 This is far from a complete tutorial of all of the ins and outs of shaders, but this will definitely help novices and intermediate shader users walk through the shader process. 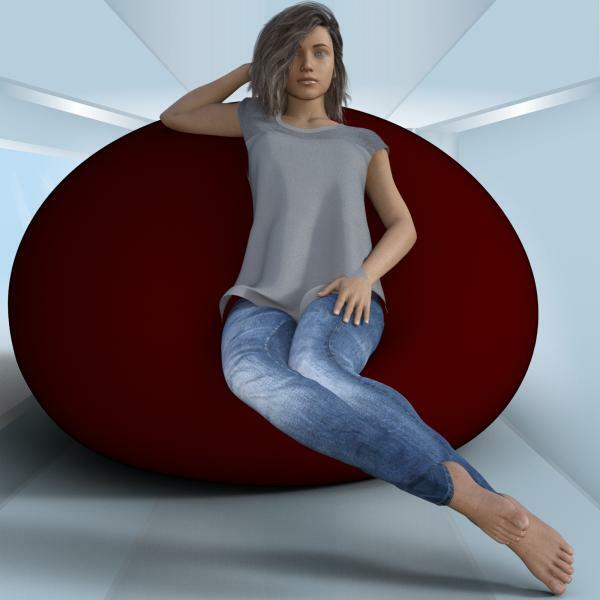 In the tutorial, I cover issues related applying the iRay Uber Base, Metalicity, Glossy Layered Weight, Glossy Reflectivity, Difuse Overlay, Translucency, Normal/Bump Maps, and Cutout Opacity. Although this isn't every possible function, it will give you a great place to start. Sometimes G8M needs to let loose with his friends and have a good time. This new clothing set includes a harness and shorts for going out on the town. 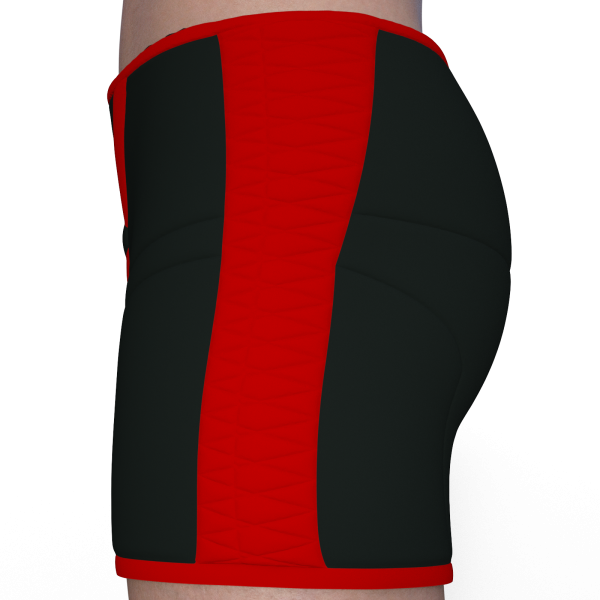 Each includes multiple color combination options (including a leather texture normal map). Of course, you can always use your own imagination. Just as an FYI, for some reason DAZ was not saving the transfer projections to the clothes directly. As such, you may need to use the transfer function. I have a link to a Vimeo Video in the Documentation to help with this (https://vimeo.com/247723210). 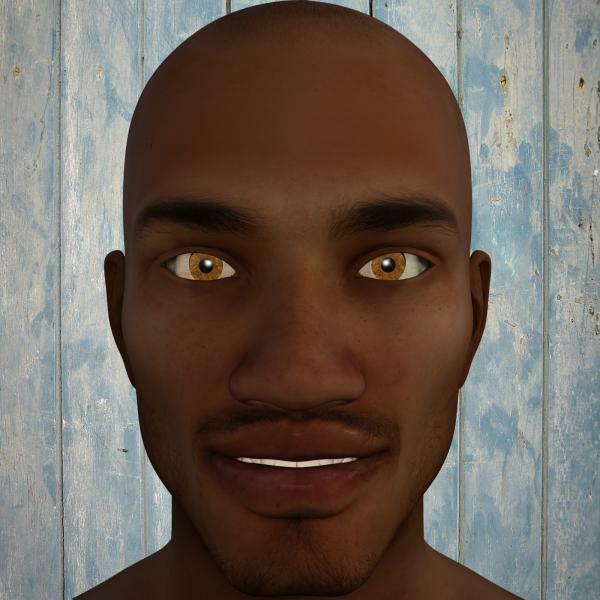 Here is my latest character for G8M - Just in time for the Holidays and the New Year. He includes one texture set and one iRay optimized texture set. Additionally, he comes with 8 eye color choices and 9 new tattoos. Hope you enjoy him as much as I have making him. Very Itialian looking stud there Guy!! Brrr!!! It's definitely cold outside this week. Time for G8F to bundle up and enjoy the snow. 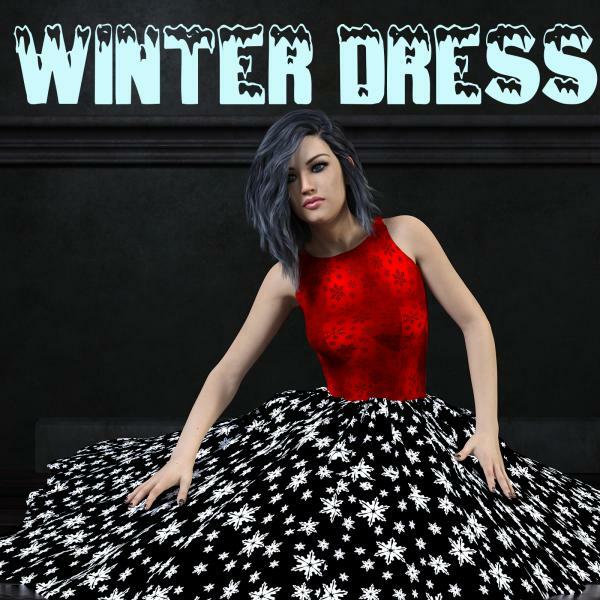 To help her, I've created a new winter-inspired dress and sweater set. 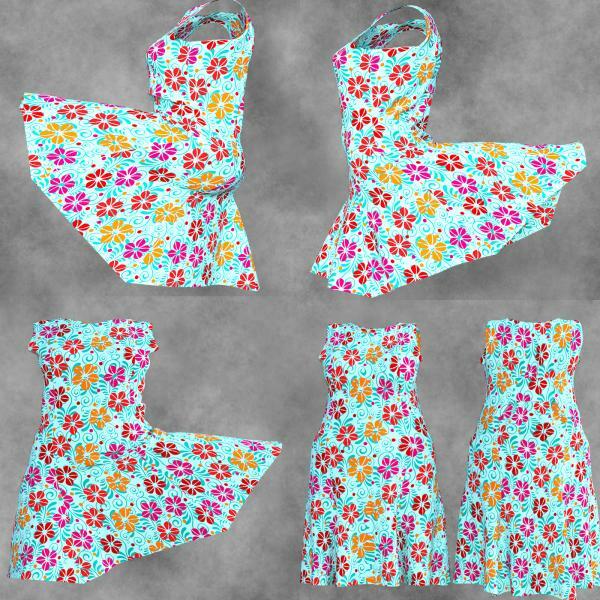 The dress comes with 10 different texture options that can be separately applied to both the top and skirt of the dress. 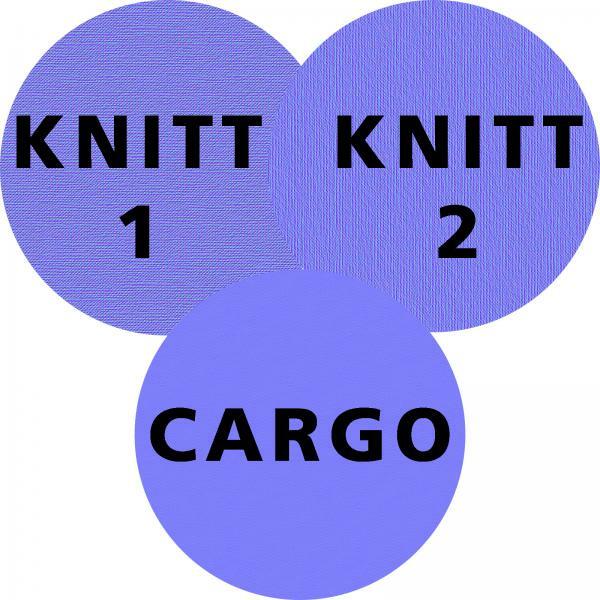 The sweater comes with two different texture options. I've also included a PDF file that helps explain the sweater and how to change the color of the sweater easily using the shaders in DAZ studio. 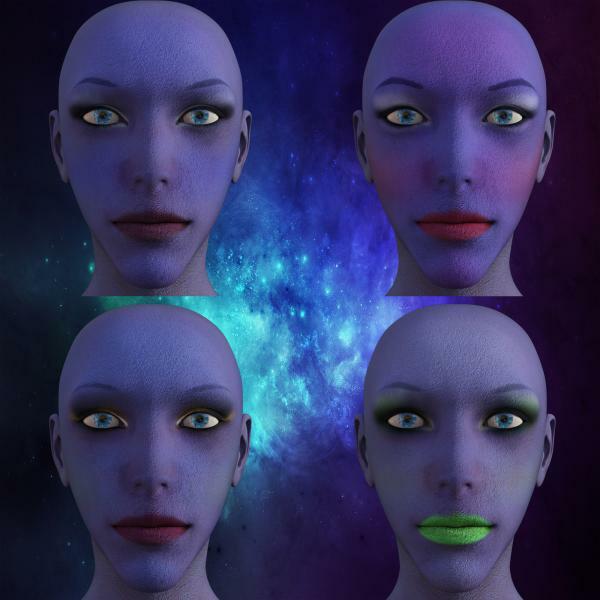 The tutorial is also great if you're not that familiar with how DAZ sets up the content library or need help with applying textures to clothes. As always, Happy Rendering! Very cool items all of them. Max_theHitman ... thank you for letting me know you like the products. It's my hobby! I love making stuff, and with each set I get better and learn a lot. G8M Dance! Well, it’s a new year and it’s time to get your boogy on… well at least for G8M. 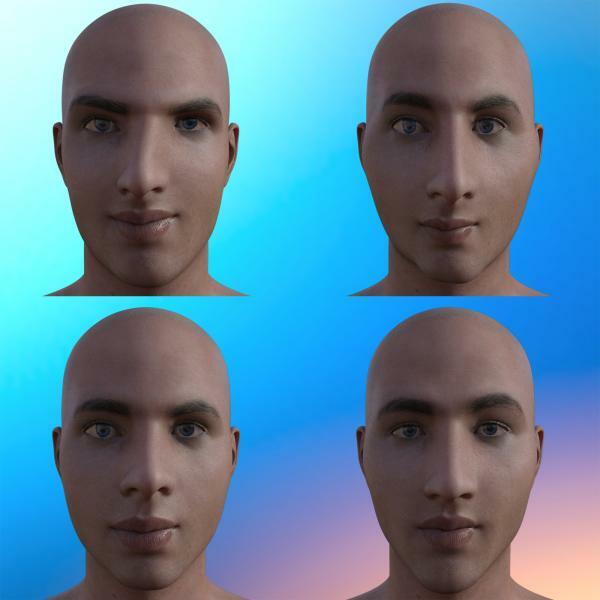 This set of 22 poses (with mirrors) plus 1 without a mirror comprise this pose pack. Many of these poses were in the original dance pack I created for G3M and have been updated for G8M, but I also created 8 new poses based on professional male ballet dancers. But in traditional infomercial fashion, wait there’s more!!! 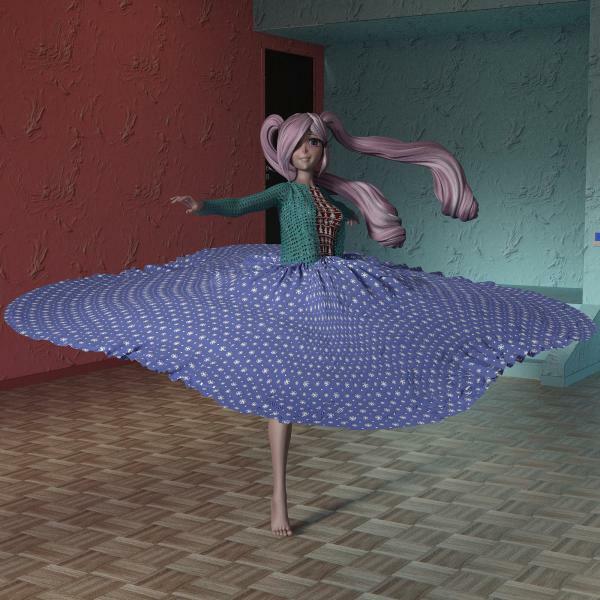 You also get a unitard for G8M (no textures, so have fun) and two different types of ballet slippers (OK, these weren’t the best, but it was my first attempt and z-brush wasn’t cooperating). As always, Happy Rendering and a Happy New Year. 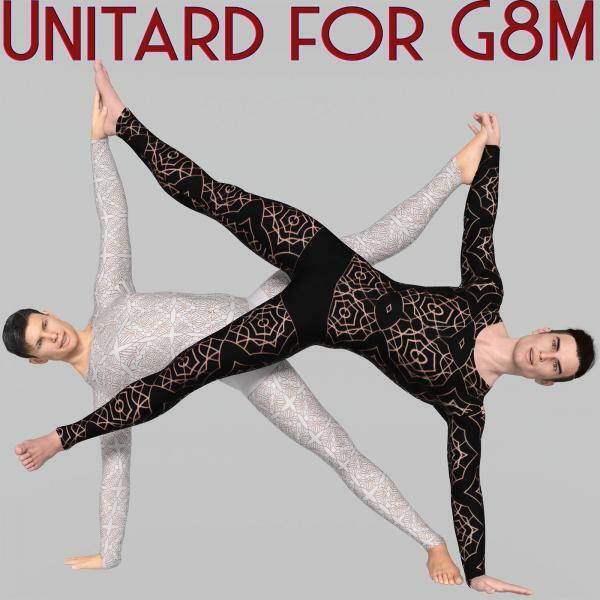 But RenderGuyNY, you just created a G8M unitard with your G8M Dance! That is true, but this one is actually a complete re-design. Honestly, it’s what happens when you forget to save the base mesh and you come up with a great new idea, which is what this product is! Although this is a unitard for G8M, it’s so much more than that. I call it fun with Opacity Cut-Out!!! 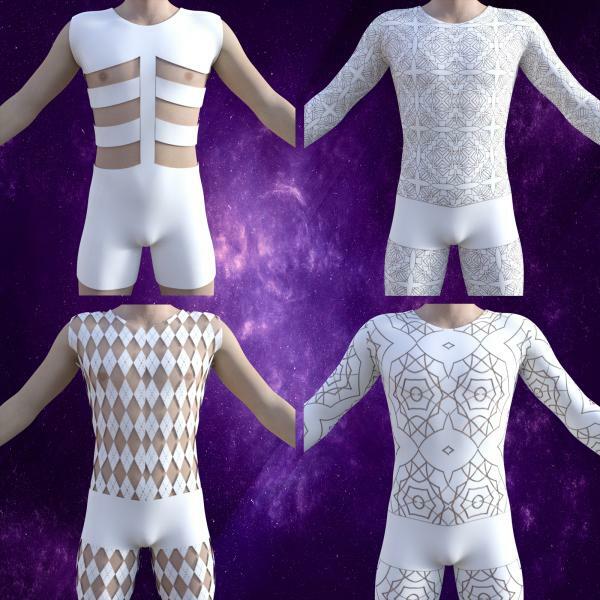 I took the base unitard mesh and applied 10+ different cut outs to the mesh creating a series of different and interesting looks all from the same mesh. I did not supply any iRay textures beyond the opacity cutouts, so you can have as much fun with this as your mind can create. If you have other ideas for interesting opacity cutouts, feel free to share them here. In fact, you can even use the base mesh as a merchant’s resource if you’d like (see documentation for only guideline). As always, happy rendering! Here is the counterpart to my Unitard for G8M. To learn more about the different opacity maps this comes with, please read the description there. Happy Rendering! 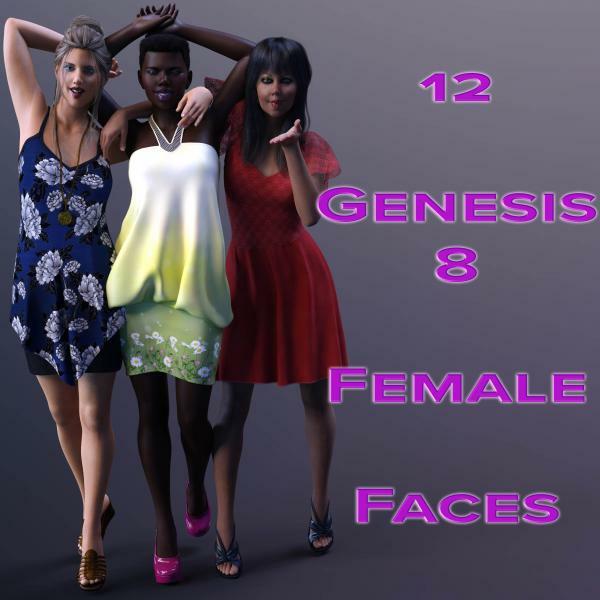 This product includes 12 unique morphs for Genesis 8 Males. Some of the morphs are more symmetrical and a few are a bit off (they make good bad-guy henchmen). Happy Rendering! 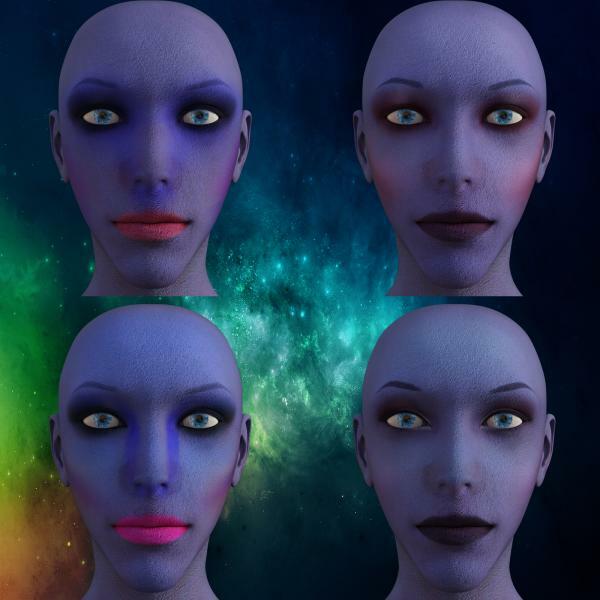 This set includes 12 different morphs based on real female faces to compliment the 12 male morphs I previous released. As always, Happy Rendering! It may still be cold right now, but spring is just around the corner, so it’s time to pull out that spring wardrobe. Enter Braxtyn for Genesis 8 Female. 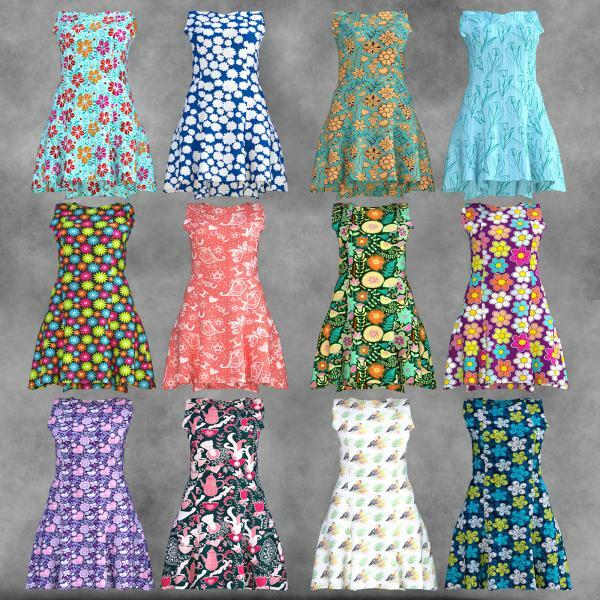 This dress comes complete with 12 different texture options; 6 different leg morphs; breast, hip, and back size morphs, and handles for other adjustments. As always, Happy Rendering! Thanks for all these great freebies and well done, you do great work.